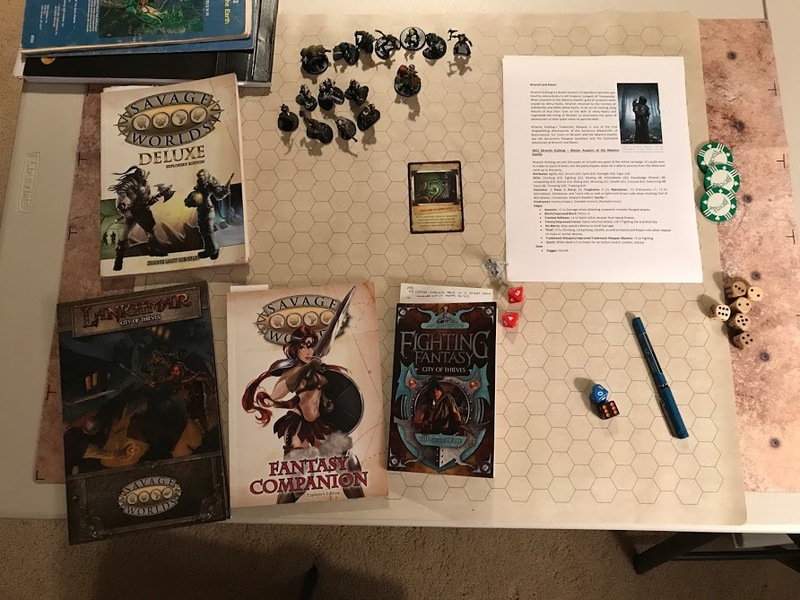 I’ve been thinking about creating a method to play Savage Worlds solitaire style and I decided to begin by adapting Savage Worlds to the wonderful choose-your-own-adventure books of the Fighting Fantasy series. I acquired the Wizards Books series 2 version in a set of 10 books. 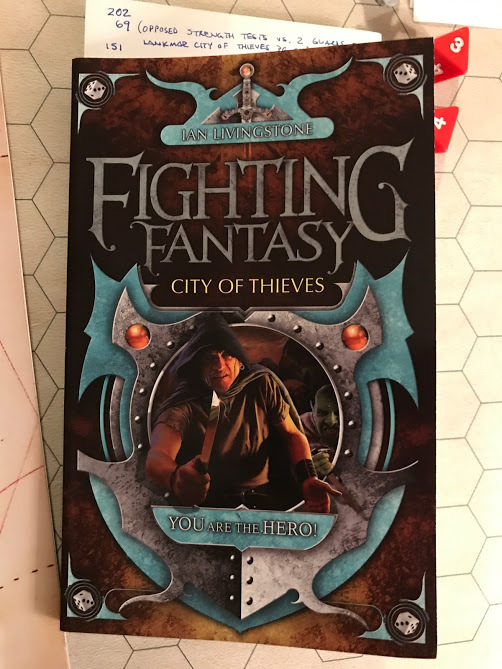 I randomly selected the book “City of Thieves” to use as my play test because I wanted to use the “Fantasy Companion” and “Lankhmar: City of Thieves” for stats. Most monsters or Extras can be found in these two books. The only real addition I worked out was the use of “Luck” and “Tests of Luck”. All of the combat using Skill and Stamina I pretty much discarded and used Savage Worlds rules to resolve battles. Here’s how I used Luck. First I replaced the starting 3 Bennies your character typically gets with starting Luck (1d6+6). This becomes your starting Bennies and any time the text instructs you to lose or gain Luck points, just lose or gain from your Benny pile. Bennies, of course, can still be spent to re-roll Trait tests, remove Shaken status, etc. When the text instructs you to make a Test of Luck, simply make a Spirit roll. I thought of creating a derived statistic for a Trait called Luck, but I didn’t want to get too complicated, so I just used Spirit. And that’s pretty much all you need to do to grab a pregen fantasy character and start playing. 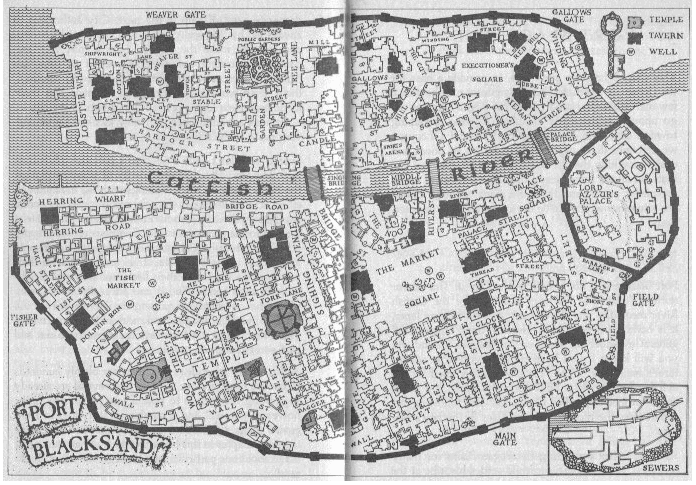 The book City of Thieves takes part in Port Blacksand and I was able to find a map online that helps you to navigate the city as you go through the quest. Of the 10 books in this series, the book “House of Hell” is the only one that uses “Fear” rules for Fighting Fantasy. It’s set as a modern horror story and isn’t high fantasy or swords and sorcery. The easiest method for incorporating Fear is to simply roll 1d6+6 and that becomes your cap. You start at 0 at the beginning of the adventure and any time the text instructs you to, you make Fear checks or acquire Fear points. If your Fear ever becomes equal with your cap, you have lost your marbles and the adventure ends. It’s fairly simple to incorporate into your character stats for Savage Worlds. There are other times when you have to make up methods on the fly for resolving things, but it was fairly intuitive. For example, in one part I was apprehended by two guards. The text had instructions for resolving the struggle and I simply made it an Opposed roll of my Strength vs. the two Guard’s Strengths. 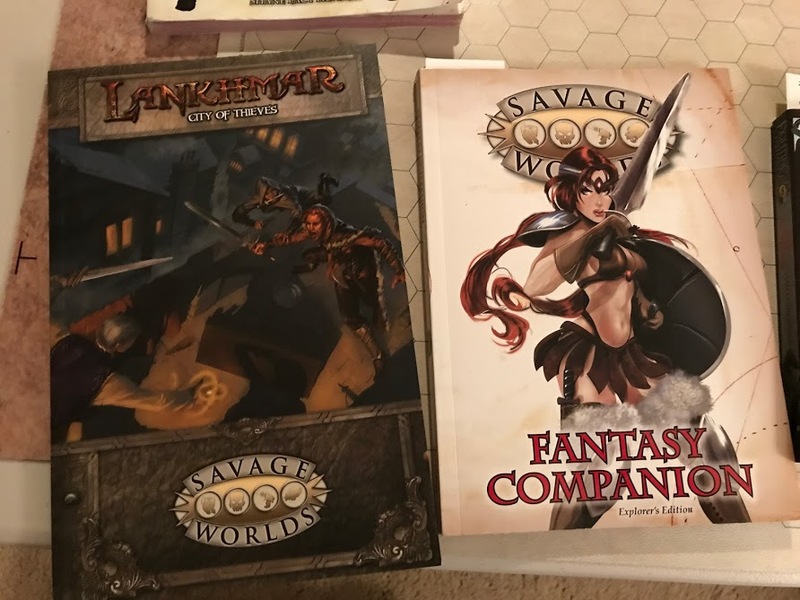 All in all, converting it to Savage Worlds was seamless and quick!